The ultimate goal for every gal is to feel good in her own skin. We all want to feel beautiful and confident. Confidence is definitely something that I struggle with everyday, as I'm sure some of you do too, but I wanted to share some tips that help me a little more each and every day. I definitely believe that you need to dress great to feel great. It's so much easier to feel confident when you are dressed in something that makes you feel comfortable and look good! Don't get me wrong, you will definitely see me in sweats 95% of the time, but I feel my best when I actually put effort into my appearance. Whether it be wearing jean shorts and a tee, or a dress and heels, I always feel more confident when I know my outfit is worthy of compliments. Working out and eating healthy is another big step to better self confidence. As much as I wish I could lay on the couch all day eating pizza, that is not going to make me feel any better about myself. Do y'all ever notice how much more energy you have when you are living a healthy lifestyle?! It's crazy what it can do for your body, and your soul! I suffer from body image issues, and I always feel my best when I stick to a constant workout schedule and healthy diet. When I start to notice positive changes to my body, I also notice positive changes to my confidence! What is one of the first things you notice about someone else when you meet them? If you said their smile, then we are in the same boat! Because of this, I have become very self-aware of my own smile (especially now that I am having pictures taken of myself and posted on the internet haha)! Being in the blogging world, I have come to notice how white other blogger's teeth are! I started to become envious, and in turn self-conscious of my own teeth. Lucky for me, I received an email from a company at the perfect time, wanting to collaborate. That is where Smile Brilliant comes in! Smile Brilliant is an at-home teeth whitening kit that will help you be more confident in your pearly whites! I've tried using whitening strips before but I absolutely hated them. What I love about Smile Brilliant is that they send you custom-fitted whitening trays for 70% less than your dentist would charge you! Something unique about this whitening kit is that it comes with an desensitizing gel! I've heard many people stop the whitening process before they received their desired results due to the sensitivity of their teeth. With Smile Brilliant, you won't have that problem, and you will be one step closer to building up your self-confidence, by smiling brightly! You can use my discount code CHASINGCINDERELLABLOG to receive 10% your Smile Brilliant purchase! And now for some exciting news! 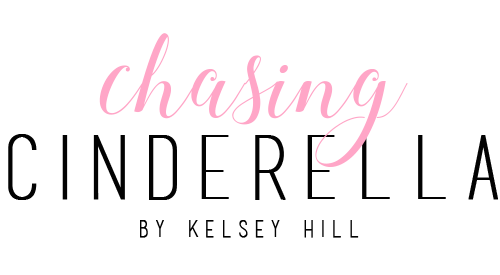 To help y'all build your confidence, I have partnered with Smile Brilliant to give one lucky Chasing Cinderella reader a $139 credit towards their very own at-home teeth whitening kit! I wanted to leave you with something that I always remind myself when I am having self-doubt. There will always be someone who is prettier, skinnier, stronger, smarter, (insert any other adjective you can think of), than you are. You should never compare yourself to someone else, you should only compare yourself to the person you were yesterday! 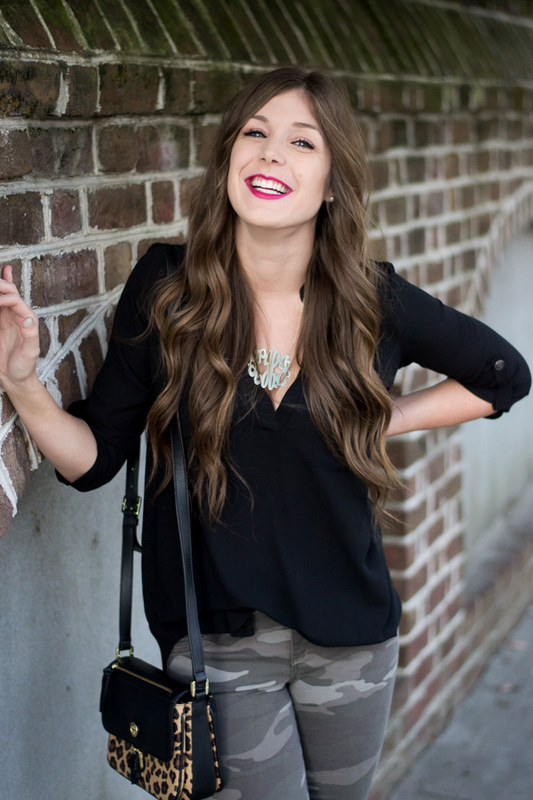 Love these tips + your outfit, Kelsey! SO perfect for summer. I always feel better when I have a healthy smile! Thank god for Whitestrips! Love these tips Kelsey! Definitely agree that dressing well leads to feeling well! I definitely think it's important to have a go to outfit that you know you look good in. Definitely a little confidence booster! So cute! I love smile brilliant. This is such a great reminder for all of us. Confidence is such an important quality that so many people are lacking. You look beautiful in your photos. Love this post and your tips! Pretty smile babe! Love this cute summer tee! And wonderful tips, living healthy is definitely a key to living your best self. Aww this is such a great post. I definitely stand by the dressing well tips! This is such a cute look! Love these tips babe. i got that cute top too! i was going to return it but now after seeing it on you, i may just keep it! These are some awesome tips! I've been wanting to try a teeth whitening program for a while now - AND I need braces again because I was allergic to my retainer and so they're all crooked again haha. I love your cute pineapple tee, girly! Being healthy and having a great smile are two great tips. Your smile is gorgeous girl! Great post girly! Everyone could use some help building their confidence. I totally agree that when you look good, you certainly feel good! Great post! You're the cutest! Dressing up/well everyday really does make a huge difference on my overall mood + confidence - it really works! 100% agree with all of your tips! loving your adorable summer tee. ok, love the tee, LOVE this post and your teeth look awesome! Dressing your best certainly helps me to feel my best. Send that super cute tee my way!!!! !